I'd like to share a recent accomplishment with you all! I have long been a fan of Ruffled Blog, so when Katie shared with me that they would publish our work, I was thrilled! This group of incredible creatives came together through the magic of social media connections. 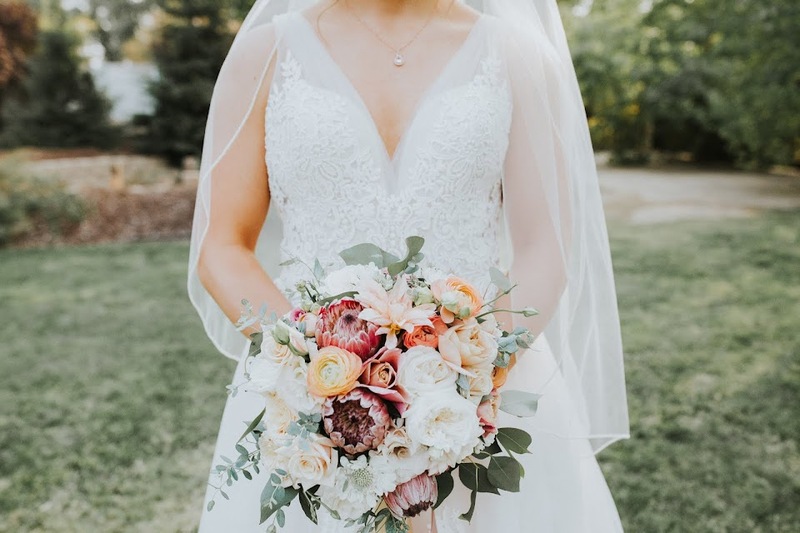 I want to thank planner and stylist Katie Kalafat of First Comes Love Events, and Katie McGihon for including me in this beautiful day. The model couple is a real married couple, their love for each other really shines through! The February day couldn't have been prettier, with cotton-candy skies and a most amazing softly hued sunset. A great team of creative people came together and set a beautiful scene. 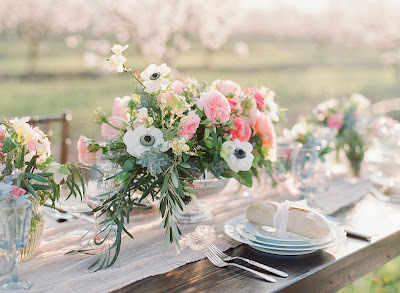 "Spring, we love you so much, and perhaps never so much as when we saw this styled shoot from Katie McGihon Photography, First Comes Love Events, and Fleurie Flower Studio. 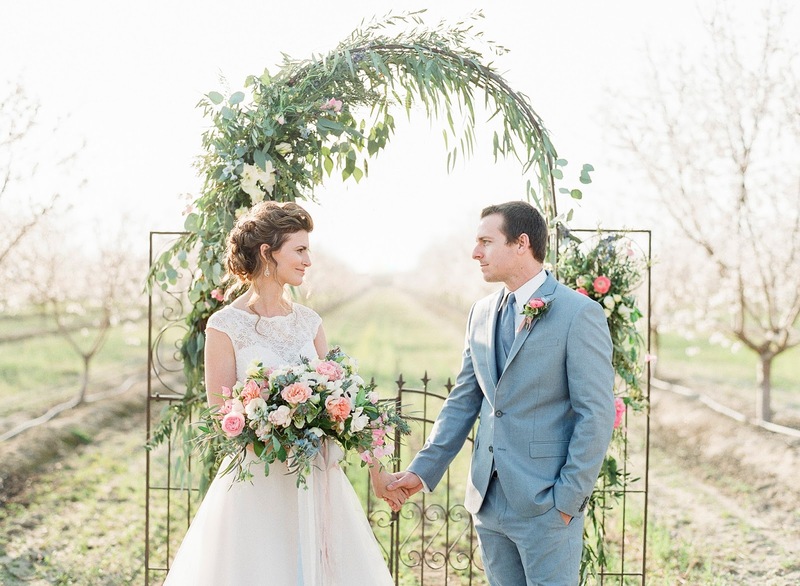 With the softest colors, beautiful lace details, and even a sweet puppy visitor, all the magic happens in a beautiful almond orchard in California. We’re SO on board"
My wife and I are both from the South (GA and SC), and we wanted a true southern wedding. We couldn't have picked a better place! The food and service at San Francisco wedding venues are superb. This is the closest as I've found since moving.